In the field of information and communication technology, Hessen has an above-average export proportion of about 18%; it is also one of the strongest European sites for international corporations. This is reason enough to point out the internationality of Hessen in the ICT field and to bring the latest trends right to the doors of the many international Hessian companies. As part of the International Year 2008, the action line Hessen-IT is networking with its European partner regions and many other international partners. You can take part too. There is a whole series of events to discover. Register for further information and be part of it! What do Rudolph Strohmeíer, Roland Koch, Serge Foucher, Heinrich Hiesinger and Reinhard Clemens have in common? - They'll be in Darmstadt on 6th of November 2008! 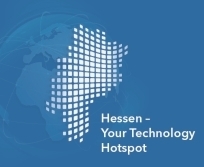 Hessen-IT proudly organizes a new ICT convention together with the European Commission and other partners. Get to know the latest technologies, get to enjoy international atmosphere in the trend-setting science city of Darmstadt. Remember this date: 6th and 7th November 2008. Enjoy this congress with quite a number of very distinguished speakers in Darmstadt. iTEC08 - Current programm online! Together witht the Representation of the State of Hessen and ERIS@, we welcomed more than 120 participants in Brussels, the European Capital. Are you looking for accomodations in Darmstadt? We have reserved some hotel rooms at special condition.